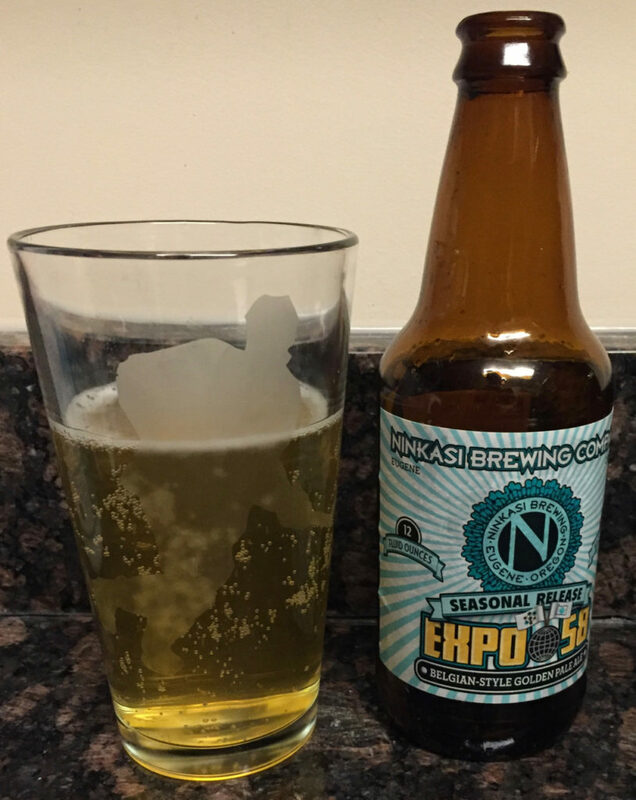 On first taste, especially after my beer league hockey game, Ninkasi Brewing Company’s Expo 58 is a beer to guzzle before reaching into the cooler to find something else. That doesn’t make it bad, but this blonde, low-alcohol content (5%), Belgian Style Pale Ale tastes too ordinary to be a seasonal release. Crab Cakes, Sharp Cheddar, Gorgonzola, Triple Creme Cheeses, Pork, Pheasant, Roasted Turkey, Steamed Mussels, Pomme Frites. Yes, I absolutely want to drink this beer while eating Gorgonzola. I’ll give this 2.5 out of 5 stars, mainly because when I read the food pairings list, the beer started tasting better.